Composing music for ballet is a passion for Patrick, with eight commissioned ballet scores to date, including the Grande Prixe (1st prize) at the Berritz International Choreographic Competition in France. From story ballets to conceptual pieces, his works have been performed internationally by prestigious companies including the Staatsballett Berlin and Ballet de l’Opéra National de Bordeaux, danced by principals from esteemed companies like New York City Ballet and American Ballet Theater, and at historic theaters such as Grand Theatre de Bordeaux and The Kennedy Center. Just Before Now - (2017) 20 min. The newest ballet by the collaborative team of Xenia Wiest (choreographer), Patrick Soluri (music), and Melanie Jane Frost (costumes), premiered March 30, 2017 by Ballet de l’Opéra National de Bordeaux. It received 7 sold-out performances at the historical Grand Theatre de Bordeaux (1780). The work was commissioned as the Grande Prixe / 1st place prize of the Concours de jeunes chorégraphes de Biarritzin April 2016 with their previous work TO BE CONTINUED (see below). Sisyphus - (2014) 18 min. A ballet score for solo cello and orchestra commissioned by Intermezzo Dance Company, and based on the "Myth of Sisyphus" by Camus. Choreographed by the companies Artstic Director, Craig Salstein, a soloist at American Ballet Theater). The work was first performed at Vassar College on March 29th and 30th, 2014 as a work in progress and received its premiere January 17th and 18th, 2015 at Miller Theater in NYC. Both casts included Abi Stafford, principal ballerina at New York City Ballet. Fire and Air - (2013) 14 min. A dance score for string trio and orchestra commissioned and performed by Bowen McCauley Dance in Washington DC, and based on the last scene from "Antony & Cleopatra" by Shakespeare. Choreography by Lucy McCauley, with additional collaboration by Alan Paul - associate director of the Shakespeare Theatre Company in Washington, DC. Mr. Soluri conducted the sold out world premiere on April 5th and 6th, 2013 at The Kennedy Center. The work was performed again at the 2013 Capital Fringe Festival in July 2013, and at the GuongDong Festival in China in November 2013. 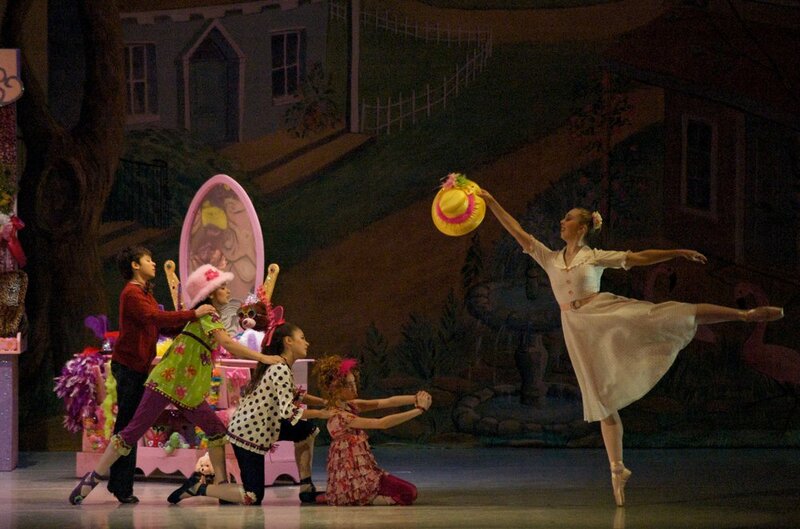 A children's ballet commissioned by the Cuyahoga Valley Youth Ballet in Ohio based on the best-selling "Fancy Nancy" children books by Jane O'connor. The ballet is choreographed by Francis Patrelle and premiered in Akron, Ohio on March 13th and 14th, 2010 at the gorgeous 2,500 seat Akron Civic Theater - all shows sold out. Plus an additional performance on May 8th, 2010 in New York City at Symphony Space. The story was adapted from Fancy Nancy © 2005 by Jane O'Connor and illustrated by Robin Preiss Glasser. Used by permission of Harper-Collins Publishers. Commissioned & performed by Dances Patrelle in celebration of their 20th Anniversary Season. Choreographed by Francis Patrelle and story by Justin Allen based on stories and writtings of Edgar Allen Poe on his 200th Anniversary. World Premiere April 16-19, 2009 in NYC at the Kaye Playhouse. Cast featured Matthew Dibble (formerly of the Royal Ballet in London) and Heather Hawk (principal dancer w/Ballet Idaho). The score is available on CD, as well as iTunes and other online music stores. This autobiographical work premiered March 23 - 25, 2007 in NYC, and was commissioned and performed by Dances Patrelle with choreography by Francis Patrelle. Cast featured Jenifer Ringer and Stephen Hanna, principals from New York City Ballet. The score was recorded by Manhattan Chamber Orchestra and is available on CD, as well as iTunes and other online music stores. Based on the famous painting by John Singer Sargent. Commissioned and performed by Dances Patrelle and choreographed by Francis Patrelle. Performed April 8 - 11, 1999 in NYC and April 22-24, 2004 in NYC and April 16-18, 2004 at Kaatsbaan. 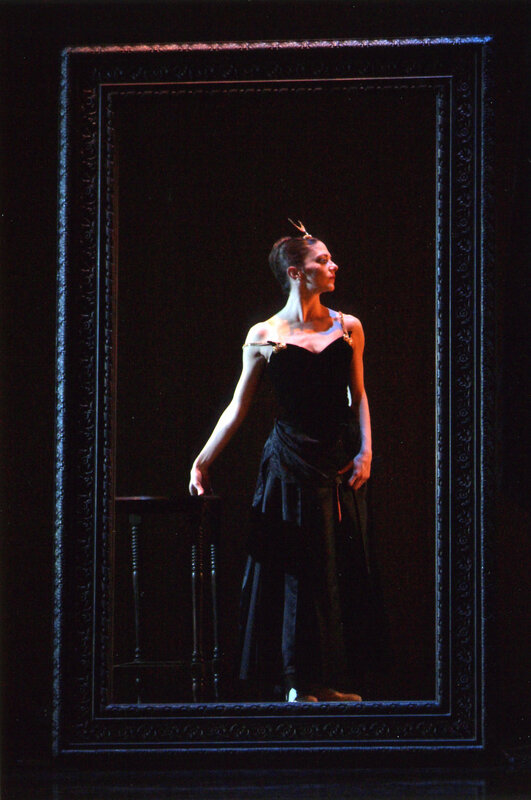 2004 performances for the Dances Patrelle 15th Anniversary Season with a cast featuring Sandra Brown (as Madame X) and Marcelo Gomes (as Dr. Pozzi) from American Ballet Theater. The score was recorded by Manhattan Chamber Orchestra and is available on CD, as well as iTunes and other online music stores. Performed at MSM October 7, 1997 at the NuMillenniuMusicaDanz AIDS Benefit. Choreography by Francis Patrelle and composed/produced by Patrick Soluri.